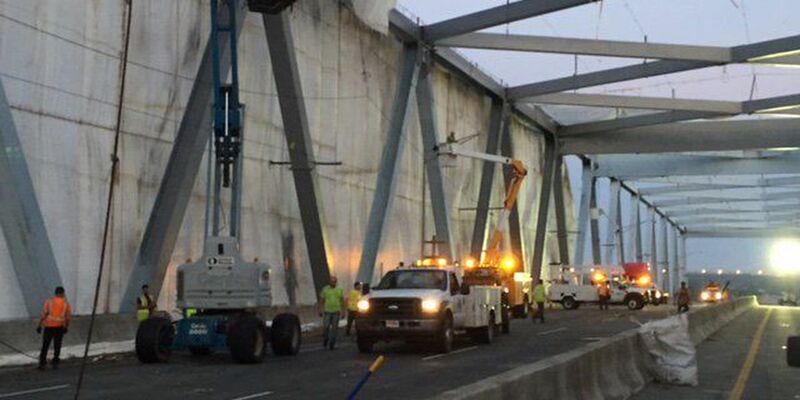 CHARLESTON COUNTY, SC - The South Carolina Department of Transportation is investigating what caused a netting to collapse from the Don Holt Bridge Wednesday, damaging vehicles and shutting down part of I-526 for hours. SCDOT spokesman James Law said a conference call was planned between SCDOT employees in Charleston and Columbia to discuss the situation. An SCDOT spokesperson Thursday said the investigation will figure out what happened, how it happened, and why it happened. SCDOT officials were expected to meet with the contractors tasked with painting the Don Holt Bridge. Sources say all damages to the cars involved in the incident will be handled by SCDOT and the contractor.